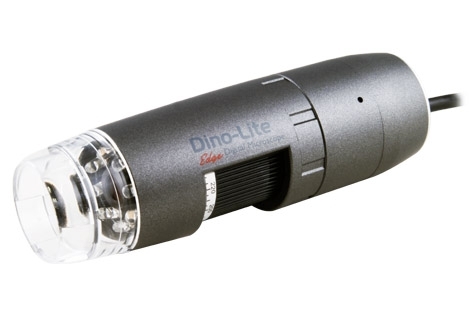 The Dino-Lite AM4115-FIT handheld digital microscope features 850nm infrared LED lighting. The AM4115-FIT views and records images at 1.3 Megapixels which lets you view objects with great image quality. This model can magnify at various magnifications depending of distance with a maximum magnification of 200X. *The AM4115-FIT handheld digital microscope features 940nm infrared LED lighting.